On the night of Thursday, 18 June myself, Eddie and Govs hit the Australian International Beer Awards (AIBAS) presentation evening. 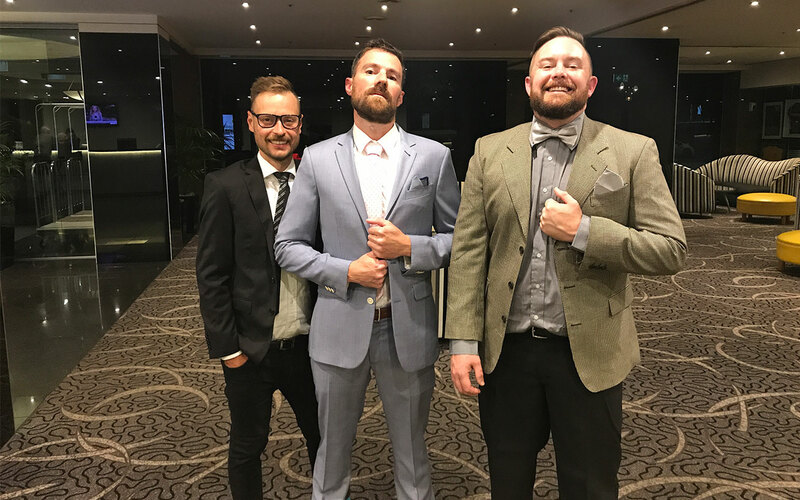 The awards dinner is a great excuse to get dressed up and celebrate with our industry peers, but of course we were also hopeful of bringing back some medals for our beers. Now into it’s 25th year, the AIBAS is the largest annual beer competition in the world, celebrating excellence in brewing, beer packaging design and beer media. The awards are open to both Australian and international brewers and this year there were over 2,000 entries from 358 breweries across 36 countries. Last year we attended as gypsy brewers, so this was the first time we were representing as a fully fledged brewery. We’ve been documenting the process leading up to the AIBAs in season 2 of our Operation Brewery Podcast. So how did we go? Well we’re pleased to report that from the six categories we entered, we came away with 5 podium finishes, including 3 gold medals! Gold: Beach House, Saison (best Belgian/French style ale). This was particularly satisfying since it’s a beer we brewed very early on and it was the only saison to win a gold medal. Silver: Pale Ale, Australian style Pale Ale. This one was a little bit disappointing but we feel we may have entered this one into the wrong category, so we will try again next time. As well as being over the moon at what we achieved on a personal level, we were also very excited to share in the mutual success of a bunch of other breweries from the South East Queensland and Northern NSW regions. Best small brewery was taken out by Green Beacon, best medium brewery was won by Balter Brewery and best large Brewery once again went to Stone & Wood. We don’t have that many breweries in this region compared to the southern states so this was a huge win. We’re proud to be part of a close-knit regional beer scene that continues to thrive, grow and lift the bar in terms of putting out quality beer that people love to drink. The trip also included our visit to the GABS festival for the 4th year running. This year we submitted our wagon wheel inspired stout, Bandwagon, which was well received. It was great to hang out with some industry friends as well as beer drinkers who have been following our story. Here are a few snaps from the trip, also follow us on Instagram for the latest.